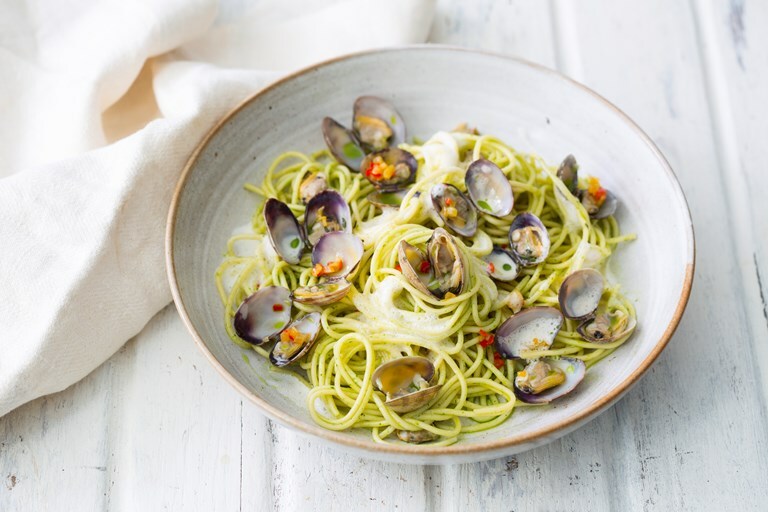 There's a fair bit of prep work involved in this beautiful clam spaghetti recipe, but the results are stunning. Paul Welburn serves the spaghetti mixed with a gremolata infused with herb oil, a hint of chilli and topped off with a clam foam make of the intensely flavoured clam stock. A seafood delight fit for a dinner party.